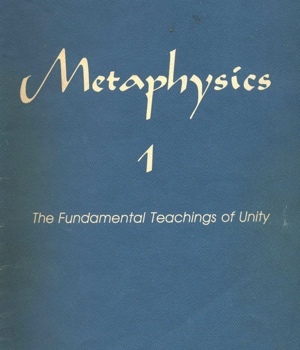 The text known in Unity today as Heart Centered Metaphysics is the fourth major edition of the Unity Metaphysics course guide. The first edition, known as the "Tan" version, was written by Marvin Anderson and Ed Rabel sometime in the early 1990's. Marvin chose the citations and Ed wrote the commentary. The Tan version was followed by what has come to be known as the "Blue" version a few years later. The Blue version was put together by Leona Stefanko and Susan Downs. That is the edition presented here. Both the Tan and Blue versions had two books. Both are available by navigating the menu you see to the right. The PDF files of the Blue version have comments made by Ed Rabel in his own handwriting. I obtained this PDF from the Unity Archives folder for Ed Rabel's papers. So what you see in the Blue version is both the revised (second) edition of Unity Metaphysics and also Ed Rabel's comments.